Shipping to any city in the World. First of all, you save money on electricity. 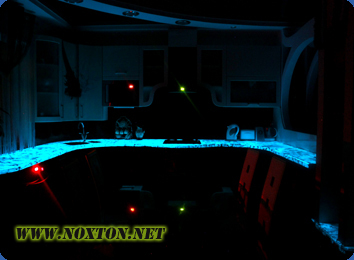 Luminescent table top or glowing kitchen front at your house eliminates the need to set extra illumination – due to the self-glow effect (the materials, kitchen furniture or/and table top made of, ability to glow in the dark with no extra sources of light), there would always be a pleasant atmosphere and homeliness at your kitchen. Secondly, a wide range of carrier materials, that are used when making the self-luminous table tops or kitchen fronts, allows you to improvise when making the final choice: we will help to decorate the kitchen according to any taste of all the customer groups (you will choose the appropriate option that will suit you with its price, quality and design). We are offering you the luminous table tops made of artificial or natural stone, glowing clipboard table tops, light-accumulative furniture fronts, self-luminous sills for kitchen and many other products. It is stipulated in advance that the luminous coating is long-lasting, the self-glow effect will be still seen after 10-20 years (its potential is 200 years), so the lifetime of the self-luminous product depends primarily on the characteristics of the carrier material. That's why, we advise you to give a preference to natural materials rather than to chipboard or PVC when choosing the light-accumulative furniture and interior elements. But all in all - the choice is up to you, while we can help you to create your own small masterpiece at your home. In the third place, purchasing of a luminescent table top, installation of the glowing kitchen fronts or self-luminous sink made of artificial stone would allow you to create a unique design. You can be assured your kitchen would not be compared to any of your friends one. It will become your matter of pride. At the same time you will appreciate its convenience and pleasantness when working in it. Unusual kitchen front can be well combined with beautiful Glow in the Dark Flowers, decorative luminescent glasses or ashtrays. Light-accumulative table tops and kitchen fronts composition: The material you've chosen is getting covered with a special compound that contains the Glow in the Dark Powder TAT 33 made by Noxton Company. Glow powder can be also added to material during its production (longer-lasting option). Table tops and kitchen furniture purpose: Allows you to create a unique design in your kitchen, to solve various complex design tasks, without resorting to the use of extra illumination. Luminescent table tops and kitchen fronts properties: Material glows by itself with no help of any light sources. Charge and afterglow cycles change each other depending on the brightness of room's illumination. When it gets darker - luminescence phase begins. Peak glow intensity can be seen during the first 2-3 hours of the phase. Any source of light forces material to accumulate the light energy. Health safety: Nontoxic. Nonradioactive. Hypoallergenic. Totally harmless to humans health. Recommendations: Keep your table top clean to get the best light charge for the surface (grease and dirt can affect the luminescence time due to their opacity). Glow colors: Basic green and light blue. Other colors are also available. Order options: Light-accumulative table top is made to order. All the basic parameters: size, shape and price are discussed individually. Kitchen fronts and table tops production terms: Starting from several days. Expert's visit to customer is possible. Table top's coating is moisture and water resistant. Due to the luminescent effect you will be able to see all the objects on the table in the dark. Illumination level in the dark would be enough, so you won't need to use a night light. Right after you turn off your kitchen light - you become able to read a book or a newspaper (initial glow intensity is colossal). Self-luminous table top or kitchen front can be charged and glow (recharge cycles) for unlimited number of times. At Noxton Company we have a production line for kitchen table tops and luminous fronts for kitchen furniture (we emphasize: not finished furniture but the materials to make one in accordance with your individual order). However, it doesn't mean you have to buy materials and start a renovation in order to bring your kitchen a unique afterglow effect. If you are completely satisfied with the design of the furniture you have, in that case you can make it self-luminous all by yourself. In order to do that, just buy a glowing paint for the desired surfaces at our Company and apply it to the surface of a table top or furniture using a stencil. All in all, the result will satisfy your expectations. It is also worth to say that you don't have to replace all of your old kitchen units when installing the luminous table top. So you would just need to make some cosmetic repairs – replace your old table top for the new one from Noxton which is made of self-luminous material. However at the end of the repairs you will realize that such a redecoration can completely transform your kitchen, as well as your way of life and your views on modern home design. To check out the the prices for table tops from Noxton or to order an unusual kitchen front please proceed to "Price list" page.